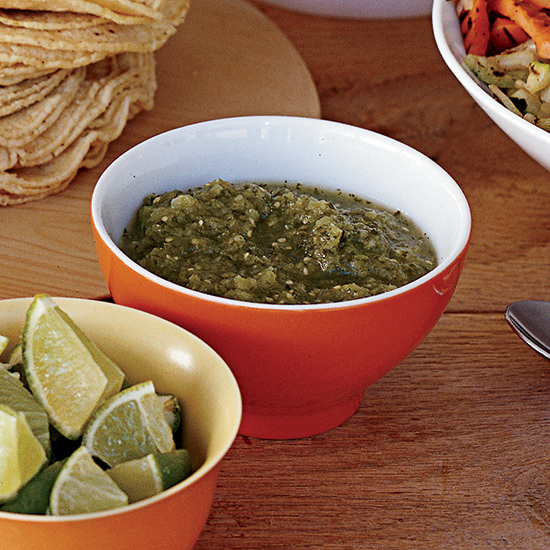 Look through the best homemade salsa recipes perfect for main dishes or chip-dipping. 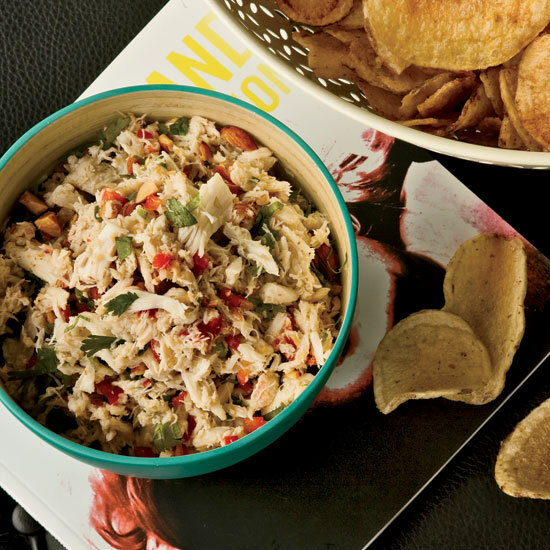 Most crab dips are full of mayonnaise, but Michael Symon’s lighter version is more like a salsa since it’s prepared without mayo and laced with flecks of shallot, cilantro, jalapeño and red bell pepper. Chris Cosentino serves this puree of burrata (cream-filled mozzarella) with his bison strip loin, a combination he calls “Italian cheesesteak.” Buffalo mozzarella can also be substituted for the burrata. 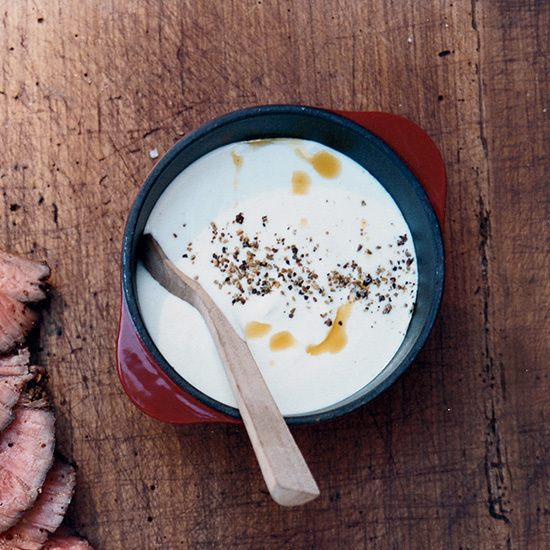 The sauce is a luxe match for any grilled meat. Habanero chiles are incredibly fiery but their naturally fruity flavor is delicious with the orange juice in the salsa here. To make the salsa even sweeter (which helps balance the heat), the chiles and onions are roasted before being blended with the other ingredients. 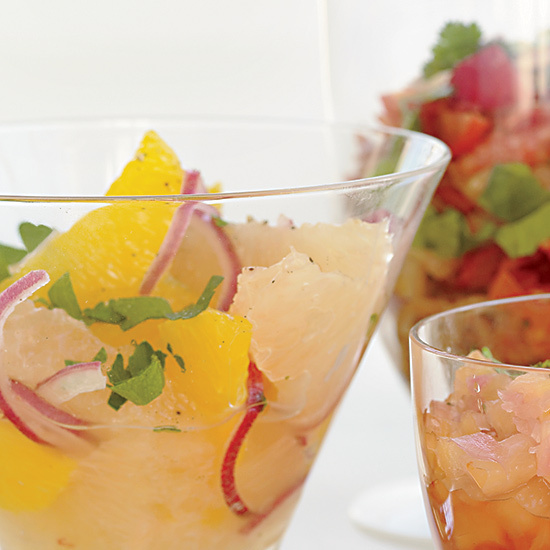 Juicy bits of orange, grapefruit, lemon and lime form the base of this vibrant salsa; green-olive tapenade and sliced red onion add extra zestiness, which makes this salsa so good on everything from fish to avocado. 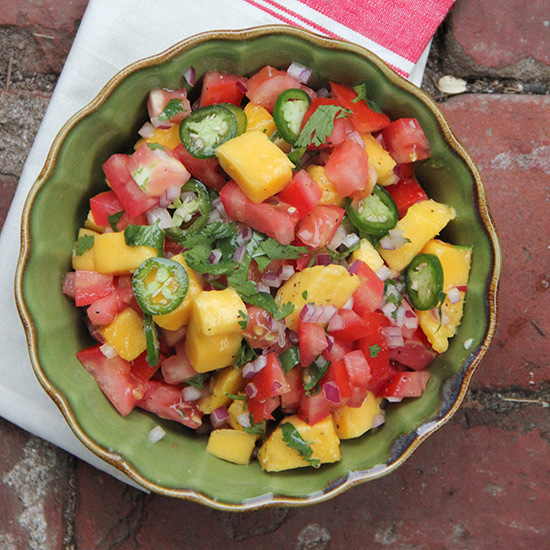 This sweet-and-tart salsa, which is nicely cooling with the spicy dishes, is rich in immune-boosting vitamin C and the essential mineral manganese. 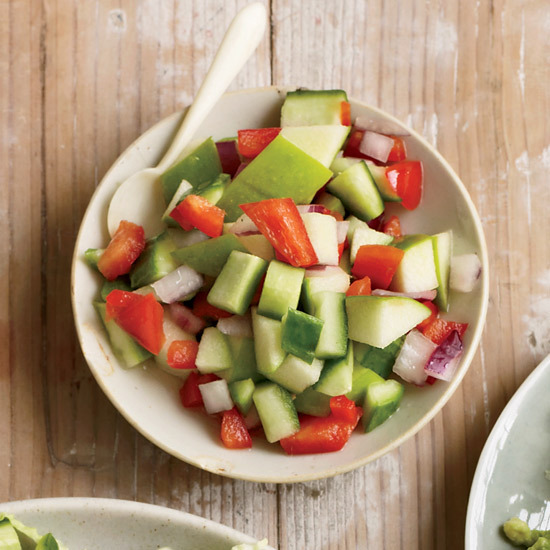 The crunchy jicama delivers lots of fiber but not many calories. 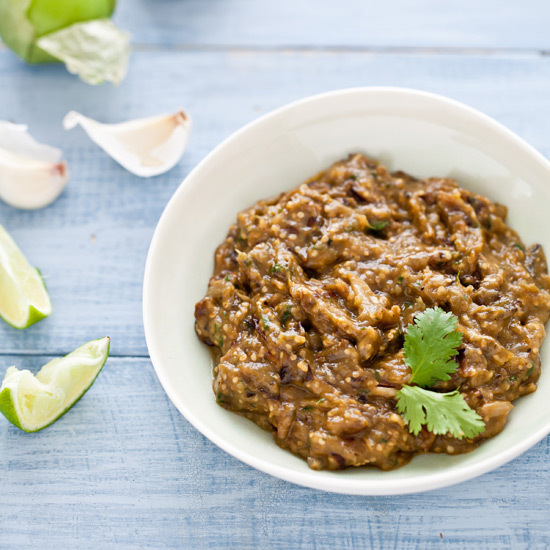 This chunky, tangy salsa is fragrant with garam masala, the Indian spice blend that includes coriander, cardamom and cumin. 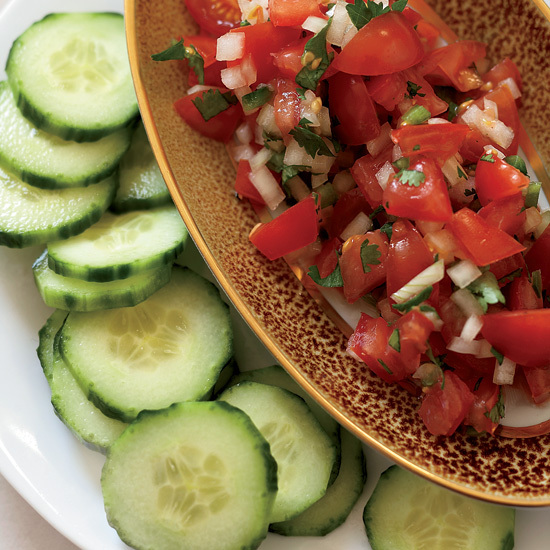 This salsa is perfect with crisp tostadas or savory tacos. 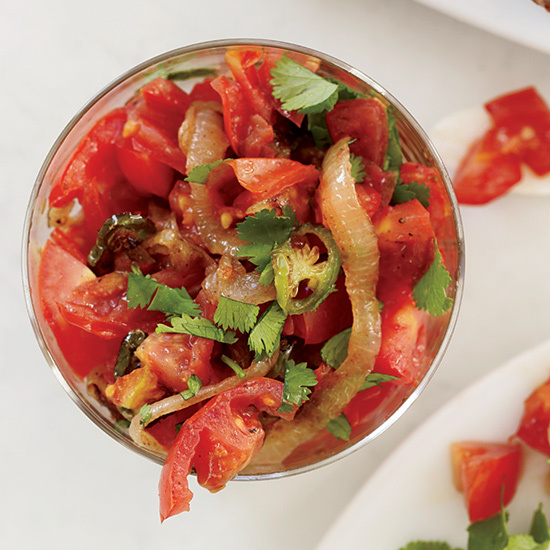 The perfect salsa dish, simple and easy to make ahead of time. 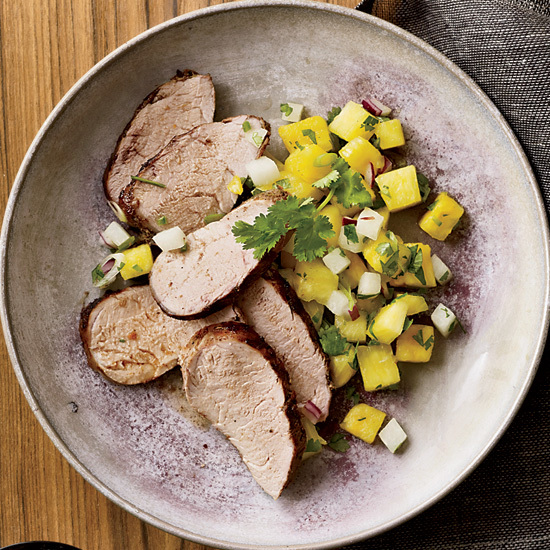 Fresh mangoes help balance the spiciness in this classic Mexican recipe. 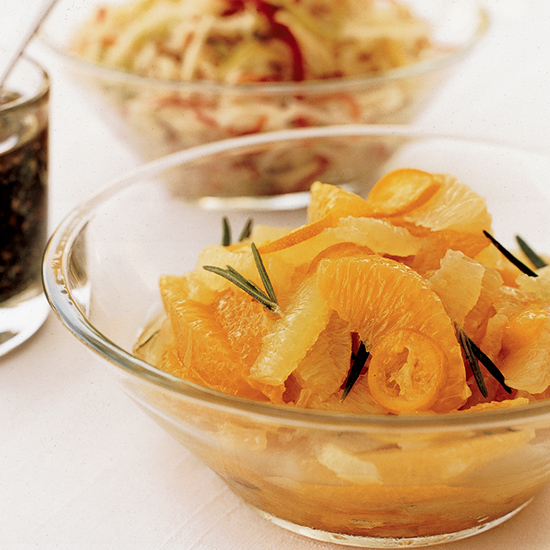 Use this spicy fresh garnish with Pineapple Pico cocktail or as a garnish on grilled fish or shrimp, on top of ice cream or panna cotta or as a dip with chips. 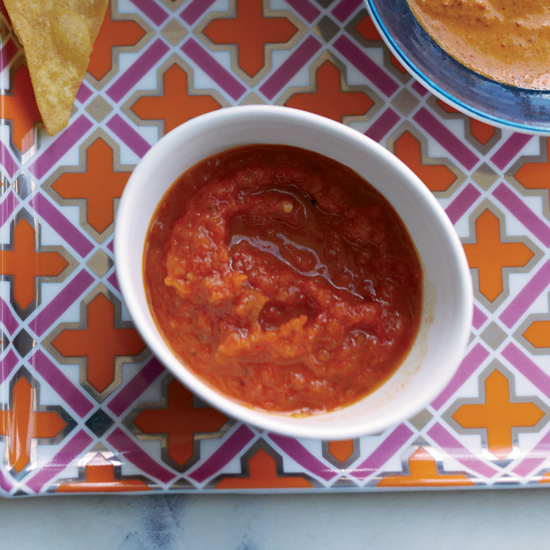 You can think of this salsa as a not-too-smooth, fresh version of your typical rusty-orange hot sauce—fresh chiles replace dried ones, fresh lime juice replaces vinegar. The roastiness of the fresh chiles adds sweet richness, plus a powerhouse of heat should you choose a chile like cayenne or habanero. The not-too-hot jalapeño is a good chile to start with, as you're getting to know this approach to salsa; its natural, juicy sweetness makes a salsa that's well rounded and utterly delicious—a favorite of market stall cooks in Guadalajara. 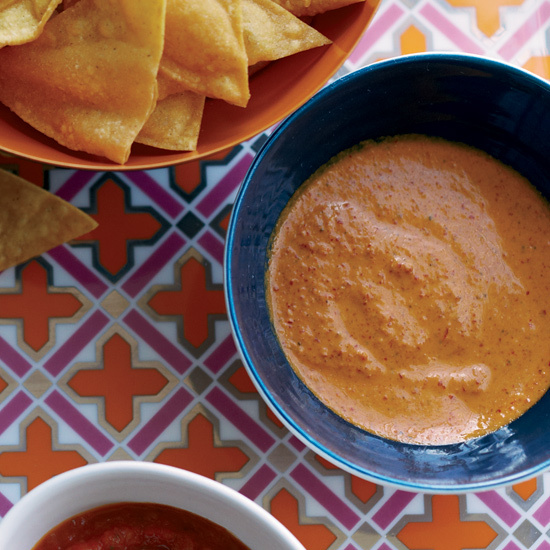 In its pure simplicity (no additions, no riffs), this salsa is one of Rick Bayless's favorites, too. 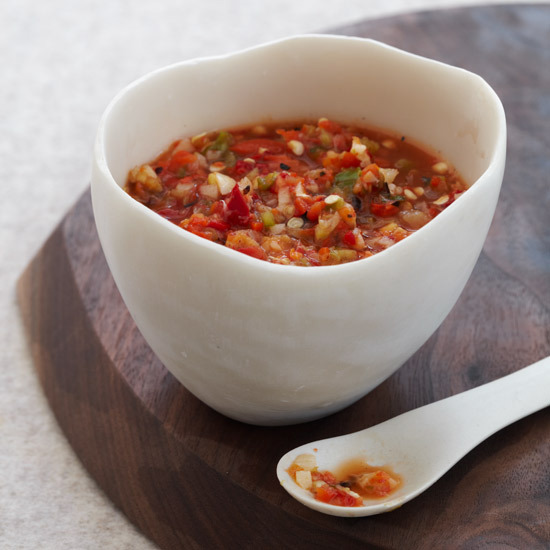 Chef Andrew Zimmern turns up the heat in this salsa recipe with four different types of chiles. 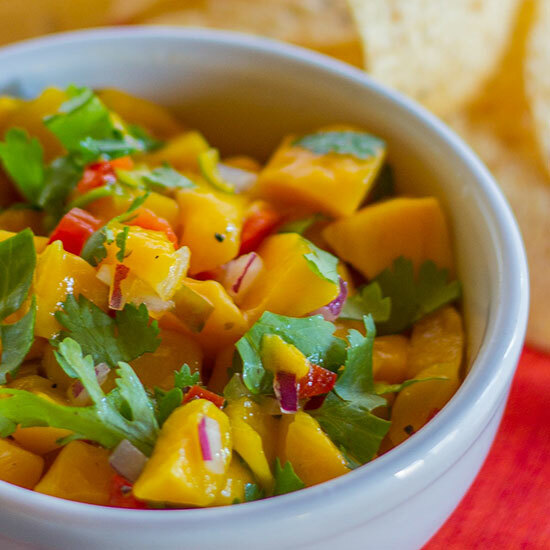 This chunky mango salsa is best when served fresh with warm tortilla chips. 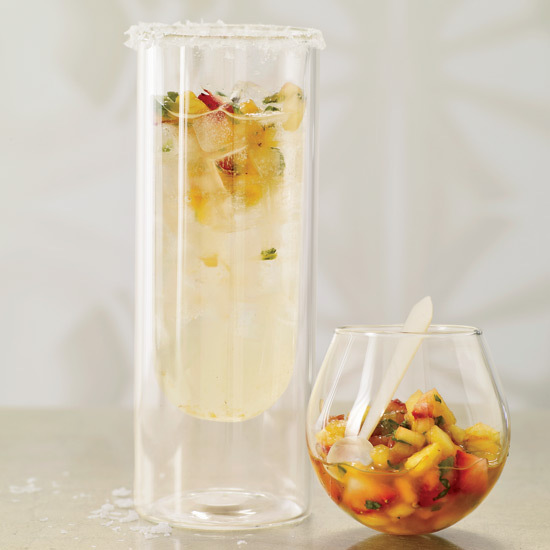 Star chef Andrew Zimmern adds a sweet touch of tamarind purée to the classic salsa recipe. 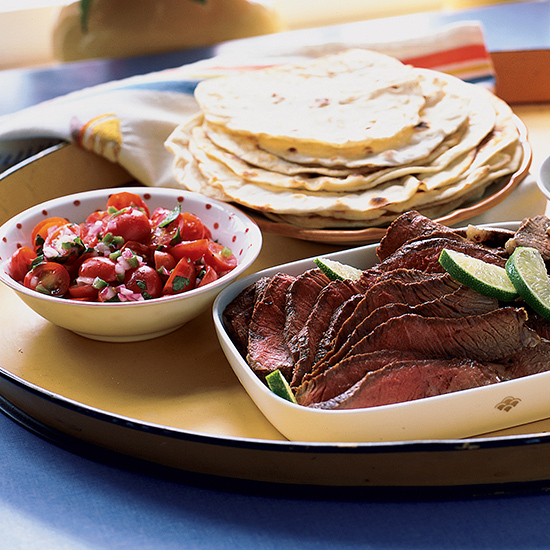 Use a mix of tomatillos, jalapeños and poblano chiles to add some extra heat. This refreshing Jamaican salsa gets a lovely flavor from garlic that’s marinated in lemon juice and a good kick of heat from a Scotch bonnet chile. 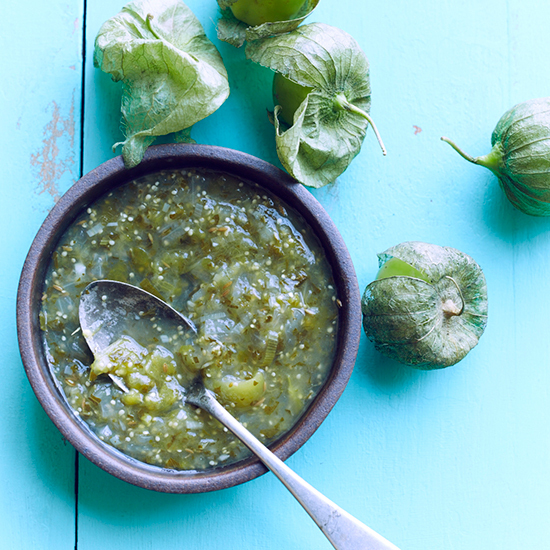 Tomatillos provide a sour and zesty edge to rich avocados in this salsa. If a spicier salsa is preferred, leave the jalapeño seeds intact. Lightly charring the vegetables before pureeing them gives this salsa verde an alluring smokiness; fresh cilantro and tart lime juice added at the end make all the flavors pop. 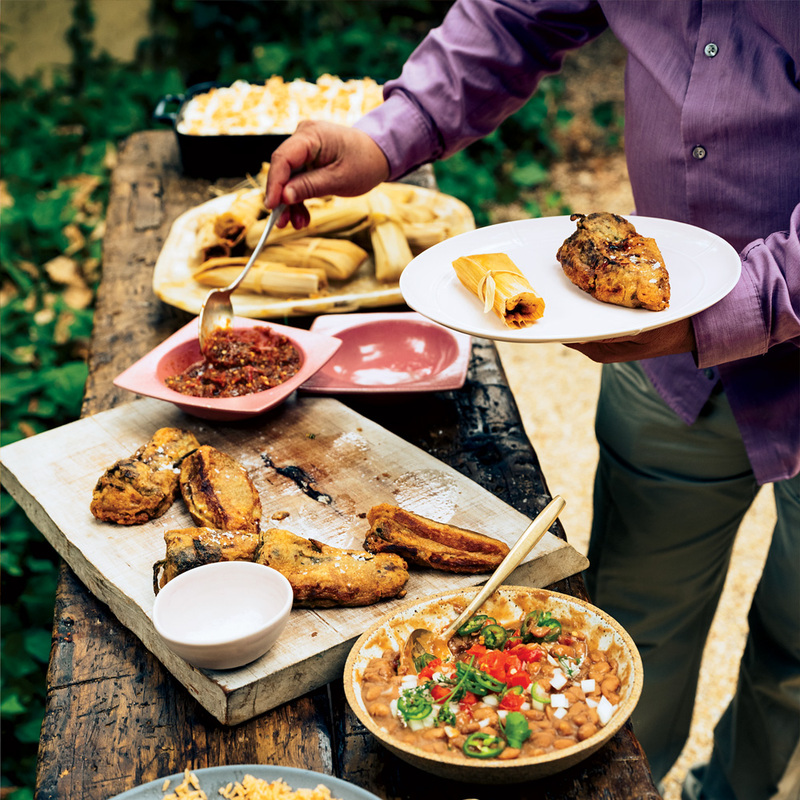 Chef Enrique Olvera’s garlicky tomatillo salsa is great on everything from tacos and enchiladas to seafood, roast chicken and pork. Alex Stupak's spicy, tangy salsa, made with 50 dried árbol chiles, is an amazing all-purpose hot sauce. According to Stupak, the salsa lasts indefinitely and even improves with age. Chef Carlos Salgado makes this smoky, spicy, rich salsa negra with black garlic and two types of dried chile. He also uses it to spike rice and beans, but you may want to put it on absolutely everything. This nutty and toasty dried-chile salsa can gussy up fried eggs, soups, Hearty Mexican Cranberry Beans, braised vegetables, grilled meat and seafood—and even guacamole.